Planning commissions often approve or deny specific land use and development applications that will have immediate impacts on the applicant’s business. But land use decisions almost always need to be based on uses, not users. Yes, the applicant may represent a very compelling, personal proposal, but the decision must consider any number of potential future property owners, tenants, and/or customers. As a planning commissioner, you may feel pressure to approve or deny an application because of the specific business or organization involved. 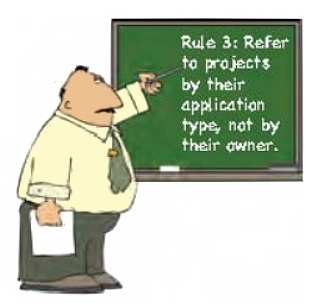 But it’s important (though hard at times) to remember that your decision must reflect the appropriateness of the application under your zoning or land development criteria, not your like or dislike of the proposal’s current proponents (or opponents). For example, an application is for an institutional use permit, not for the Church of Reflexology; for a drive-through restaurant site plan, not for a Creamy Crisp & Coffee Cafe; for a rezoning to a heavy commercial zone, not for a Cost-Mart. Remember, once a permit is granted, the current owner can turn around –- the very next day -– and sell their business to someone else.